The new avengers are making no progress against the demon hordes while our magical trio tries to figure out who has caused all this. 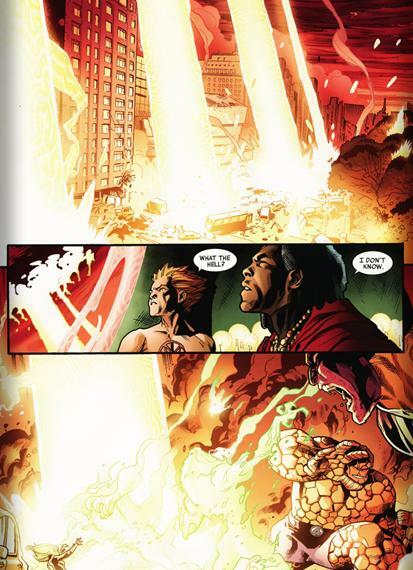 They view what is happening at the battle site and Ms. Marvel foolishly flies into the dimensional rift. Strange enters astral form to save her. The team regroups in time to see a man fall through the dimensional breach and all the demons vanish. 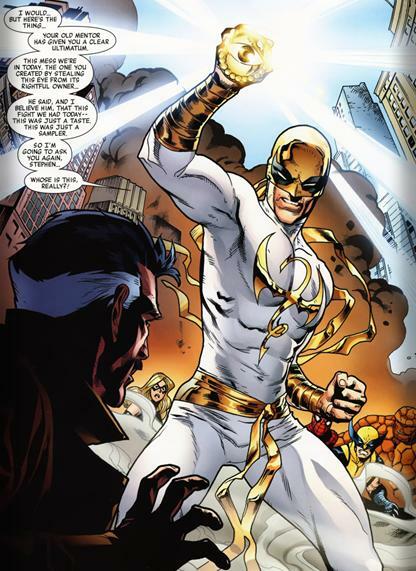 It’s Iron fist in a shiny new white costume, he immediately attacks Strange since everything is his fault he then reveals that the eye of Agamotto does not belong in their dimension and that Strange knew this. He then demands to know who and where it belongs since it’s put the world in danger. Finally some excitement! Sure the last few issues had action but none of them even made your hearts skip a beat. This one does! The revelation of the eye is intriguing for a number of reasons…clearly if it leaves the earth plane there gooses are cooked. I’m also very aware that the eye has been on earth for a very long time…I remember Storm’s ancestor wielding it in ancient Egypt and even Sebastian Shaw’s ancestor during the witch hunts in Massachusetts. Where does it belong and the ramifications for earth are enough of a reason for me to pick up the next issue and push this from average read to slightly above. 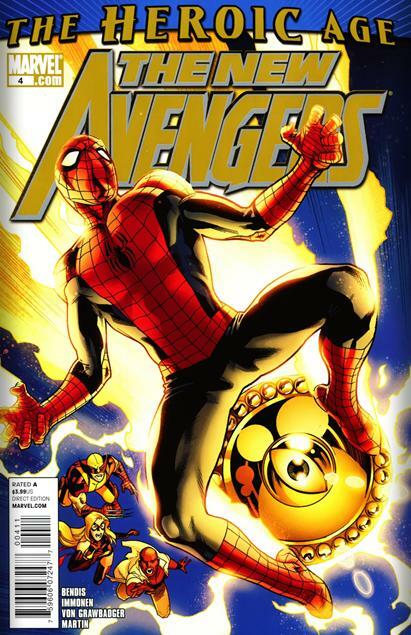 Art was great as was the characterization for the most part. Doctor voodoo is essentially useless and mopey…..big disappointment there!